ready to step into a future that looks nothing like your past. My only mission is to help you become more successful than you’ve ever dreamed possible by adding more ease and flow to your life. I do this by helping you reframe old beliefs and stories and crafting an overarching strategy to get you exactly where they want to go. As someone who can vividly remember (not that long ago) being unhappy with my career, my bank account and my love life, I understand the importance of pushing through fear and embracing every experience in life. Let me ask a question…..
Do you KNOW deep down that you’re meant for a great life yet have NO idea how to turn things around? Perhaps you’ve been plugging away on that “Huge Goal” for years now. You’ve taken all the classes. You’ve worked your way through checklists. You’ve had friends take a fresh look at it and you’ve brought in experts. And it’s still not happening. I’m sure your inbox is inundated with ideas about how to make 2017 your best year yet. But maybe you need more than ideas. 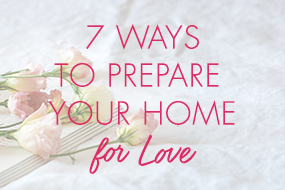 You’re not just going to write down a few resolutions and devotedly hope that this year is different. You’re going to enlist some help – because you’re clever like that. And I’d love to be the one to help you. :: Your VIP session is a half day intensive, dream workshop where we spend: 3 hours via phone or Skype smashing stories, breaking through beliefs that don’t serve you & aligning a successful psychology with a powerful actionable strategy to apply in the days and weeks to come after our session! :: I’ll help you outline your perfect year. Hitting your goals comes from successfully reverse-engineering the process… and we’ll start there. :: You WILL leave the workshop with a toolbox of: clear, simple, workable approaches that get dependable results in improving the quality of your life…..in whatever area MOST matters to you. Reaching Peak Potential and Personal Growth — Reconnect with yourself in self love, eliminating limiting beliefs, self-doubt and getting in touch with your personal power so that you can experience greater happiness, calm and confidence daily. Wealth Consciousness — Get a money makeover from the inside out. Learn how to shift your mindset and open up to lasting, sustainable financial abundance so that money is never a concern and never a worry again. 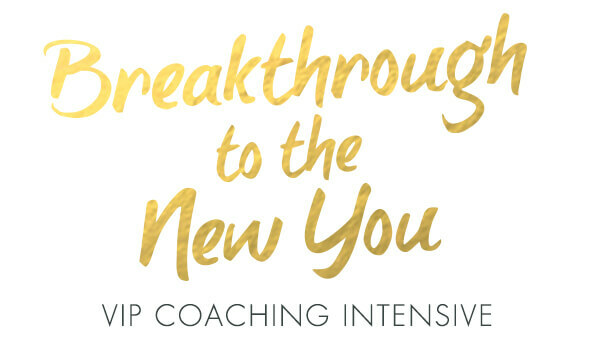 Breakthrough to the New You is a half day, one-on-one powerhouse intensive in which we team up to take on the things that have been holding you back. Over the course of the day we’ll plant new empowering habits that will pave the way for a confident, satisfying life and guide you towards healthy, helpful new practices. In addition to the coaching session you will receive 10 days of follow up email access in which you can ask me anything, review any projects, share any additional resources in support of your manifestation journey. Are you ready for the life you were meant for? I thought so. Click that ‘book now’ button and email me to say let’s get started! I’ll send you next steps and a detailed timeline for our workshop. 1) Go at it alone and keep doing what you’re doing (and expect the same results). 2) FAST TRACK the results you want. 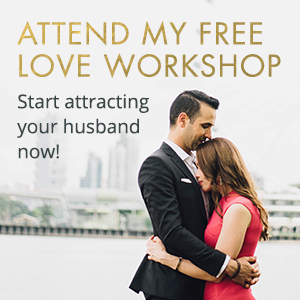 Choose to work with me and get access to my step-by-step process and done-for-you formulas on how to attract wholehearted love, develop soaring confidence and create abundant, lasting wealth–right away. PPS. Need more social proof that a half day together will change your life? Check out more successful results from just some of my happy clients here.